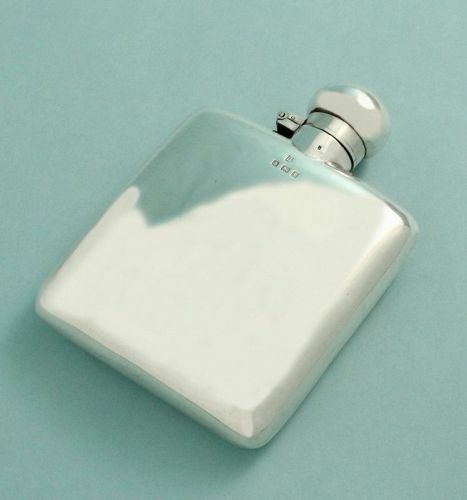 Handsome classic design English sterling silver flask. The practical, discreet size has one curved side to comfortably fit a hip or breast pocket. Bayonet feature on its top, locking cap. Hallmarks: Charles S. Green, Birmingham 1918. 3 1/8" W., 4 1/4" H.